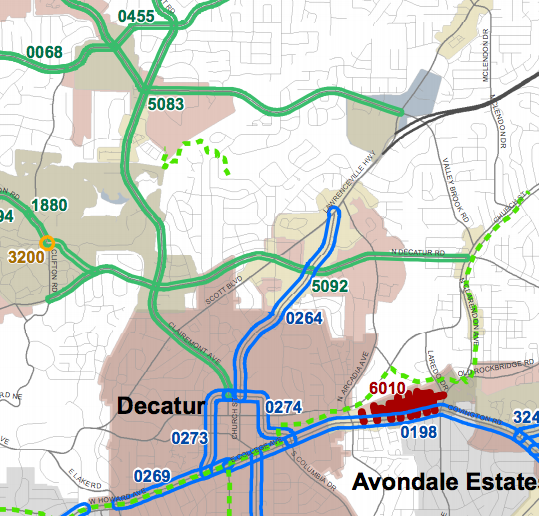 "The Medlock Road project is part of the Multimodal projects (#5092). It is also on the Bicycle/Pedestrian projects (#0308). Sidewalks along Scott Blvd are also on there (#0276) but they seem to be unaware of the sidewalk work that Decatur has already completed. There are many other projects on the list including several in Emory. The Clairmont/N Decatur Road intersection is on the intersection projects. I was told that the Scott / Medlock / N. Decatur Rd intersection would be part of the Medlock Road Multimodal project. You are now able to fill out the online survey and list your preferences for projects. They said the online survey will only be up for a couple weeks..."
Also note that project #0499 appears to highlight the development of easement space for bicycle and pedestrian use. 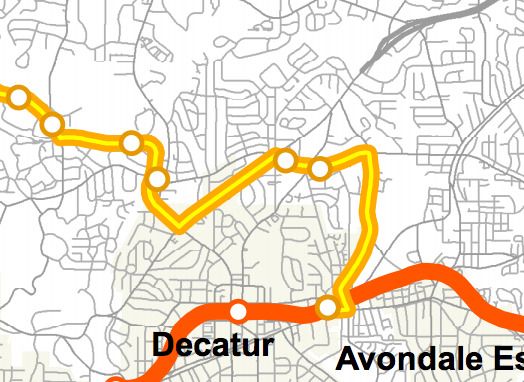 It appears to connect Medlock Park to the area between the Clyde Shepherd Nature Preserve and North DeKalb Mall. # 0276. Scott Blvd. From W Ponce de Leon Ave to Church St. Widen the sidewalk on the northwest side of Scott Boulevard in sections designated as Safe Routes to School by acquiring easements from adjacent property owners. Fill in gaps in a few areas where sidewalks don't exist. The survey is anonymous and you can complete some or all answers. Actual questions are listed below, for your convenience :) Your feedback will help improve County-wide transportation. If nothing else, open the survey link and offer your feedback or support for in or near Medlock-projects, whose numbers are listed next to the project map links below. Clifton Corridor and I-20 Corridor (1 question) : support one, both, neither? Pedestrian and cyclist improvements. Purple means bike/pedestrian projects, blue highlights pedestrian projects and red indicates bicycle projects. Dashed green indicates existing PATH foundation corridors. 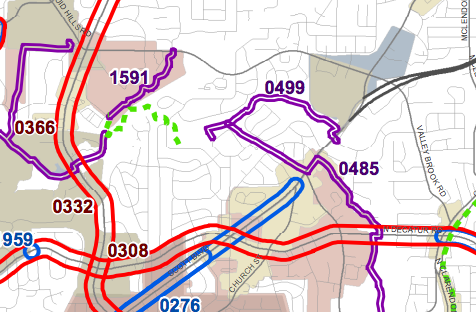 Multimodal Recommendations Map: Green highlights operations and safety, blue suggests road diets, burgundy indicates "new connections" and dashed green lines highlight existing PATH Foundation corridors. Per page 20 in the County's transportation plan slide presentation, "Mega projects are larger interstate or transit expansion projects (such as the I-20 and CliftonCorridor projects) for which DeKalb will advocate but not be required to provide funding.